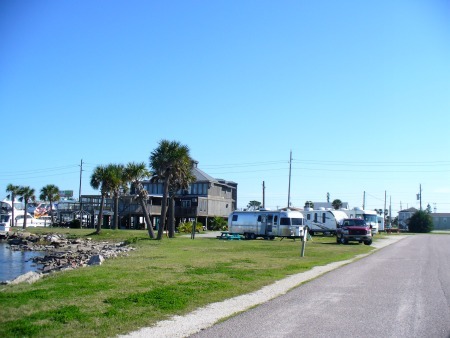 RV Parks Galveston Texas.Remote or lay back? The Island has beautiful sites! 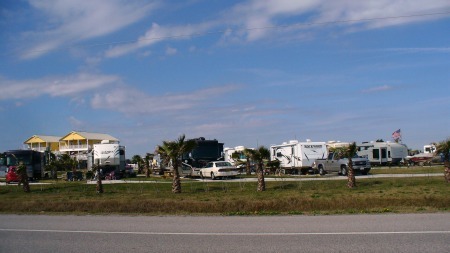 There is some terrific RV Parks Galveston Texas. With its amazing marine drive, panoramas and atmosphere it’s a perennial favorite for many people. Winter climate draws countless to the Island. Like the snow birds they migrate to the RV Parks Galveston Texas. Two of the Parks are fairy new. They have beautiful locations to please any taste. Do you prefer a remote feel or lay back? Maybe a warm village feel, or close to it all? It‘s here! There’s even something in between. This wonderful eclectic Island has something for everyone. 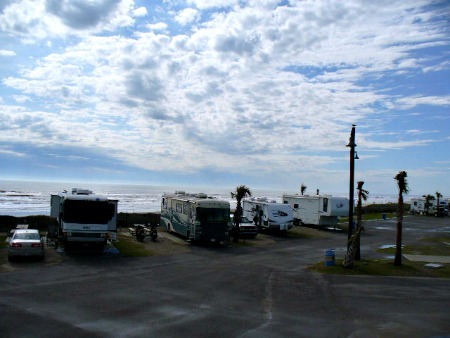 There are 5, RV Parks Galveston Texas. Three are privately owned; Bayou Shores RV Resort; Sand Piper RV Resort; Jamaica Beach Park. 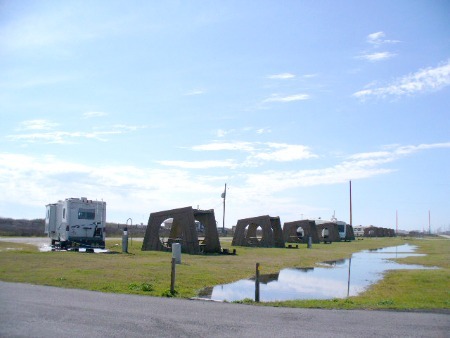 Galveston Island State Park has R/V sites. It is operated by the State Parks and Wildlife Department. 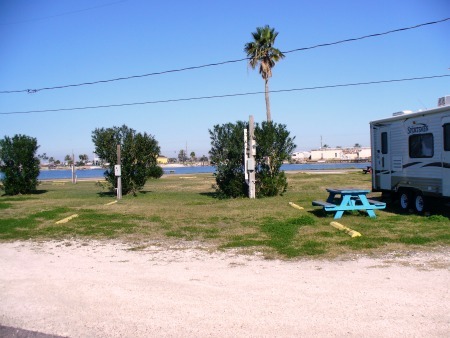 Dellanera RV Park is operated by the Park Board of Trustees of the City of Galveston. Each one has something unique to offer RV’s. Be it location, atmosphere, conveyances or view. It’s offered here on Galveston Island. Bayou Shores lays right on beautiful Offatts Bayou. There is a lay back feeling here. It’s as if the mystically guided knew like minded souls were here. Then they started to gather. Bayou Shores has 84 Full Hook-up lots. Ten drive through. They are grass sites. With some sites on the water all you need is rod and reel. 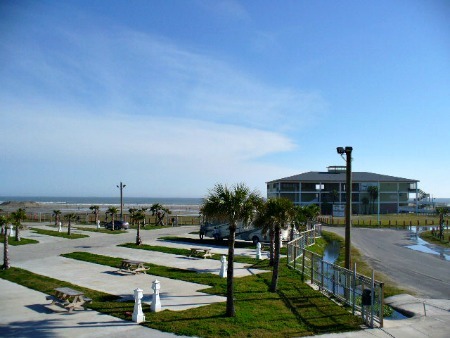 It has numerous amenities; 24 hour on site management; restaurant and bar, boat ramp, fishing and swimming. It is about a mile from Schlitterbahn Water Park, Moody Gardens and Flight Museum. The Sand Piper Resort is next to Stewart Beach. It has a vista of beaches especially from its pool and infinity pool. It has 36 paved full hookup sites, with cable and curbside trash pickup. There are many other amenities including a Business Center and social area with seating for 60. Their deck has a very inviting hot tub. 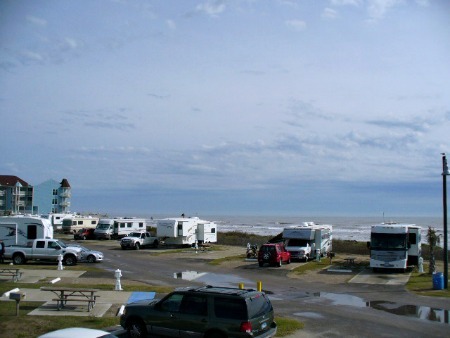 As for RV Parks Galveston Texas, this is ideally located near City of Galveston. Nearby restaurants you can walk to: Italian, Mexican and subway. It’s conveniently located near UTMB, yacht basin, cruise terminal and Strand and Historic district. If you love bicycling Galveston is the perfect place! The beautiful Marine drive and its seawall stretch for miles. It makes for hours of easy peddling. 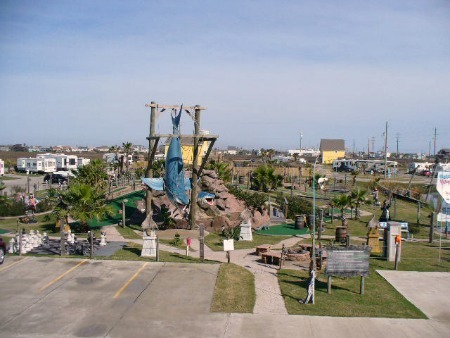 Dellanera RV Resort is west of, and about seven and a half miles from City of Galveston. It has a vista of beaches from many of its lots. The gulf is easily seen over the small sand dune. It has 65 full hook-up sites. 21 pull through, 44 back in spaces. All paved slabs. A short distance is the seawall offering hours of easy bicycling. It has a General Store, and many other amenities. Nearby are other conveniences; Lucky Food Mart, Gas, and Veterinarian Clinic all at the same location. Cafe Michael Burgers and Woody's Bar is nearby. Both have a good, to great views of the gulf. Of course they have very good food. A mile or so east are Movie Theater, Wal-Mart and restaurants. Oh, and that wonderful little store: Kites Unlimited. Stop by and get a fast flying kite. It will entertain you like nothing else. 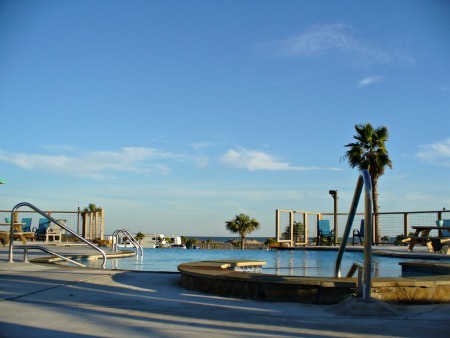 Of the RV Parks Galveston Texas, this location is very appealing. It offers an in between of everything. There is less traffic to contend with. Plus there’s hardly any pedestrian traffic to watch for. Jamaica Beach Park is about 14 miles from it to City of Galveston. As its name implies it is located in beautiful City of Jamaica Beach. Jamaica Beach Park has 50 full hook-up sites. All are on concrete slabs. The landscaping is very nice. Some sites have a view of the Gulf. The beach is a short walk. It has the appeal of a small village. Even full of RV’s it looks airy and inviting. It delivers the ideal scene of RV’s dream of community. Nearby are a few of Jamaica Beaches’ restaurants, convenient stores, gas stations. Emergency services are just next door. There is an unmistakable bright airy feeling of community here. 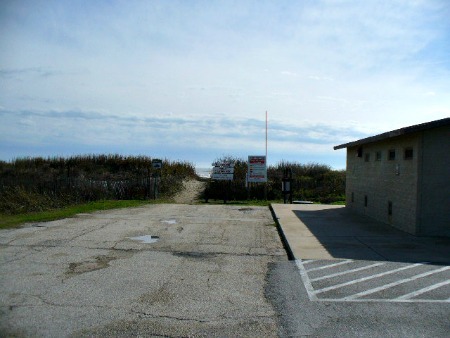 Galveston Island State Park is about 11 miles west of the City of Galveston. It has a definite remote feel to it. There are two sides to the park, Beach side and the Bay side. On the beach side are 36 sites with full hook-ups. You can’t really see the gulf, but it’s just over the dunes. You will definitely hear it! The ranger’s office is on the beach side. There you can get an assortment of maps for the trails and wildlife identification chart too. I checked out the men’s room on the beach side. It was very clean well maintained. The Bay side has 9 hook-ups with water only; and 19 sites with electric and water only. This side has several miles of trails for hiking and bicycling. There are also paddling trails that look like a lot of fun so bring a kayak or canoe. Camping is available on either side of the park. Leave RV Parks Galveston Texas and return to Galveston Travel and Charm Homepage.